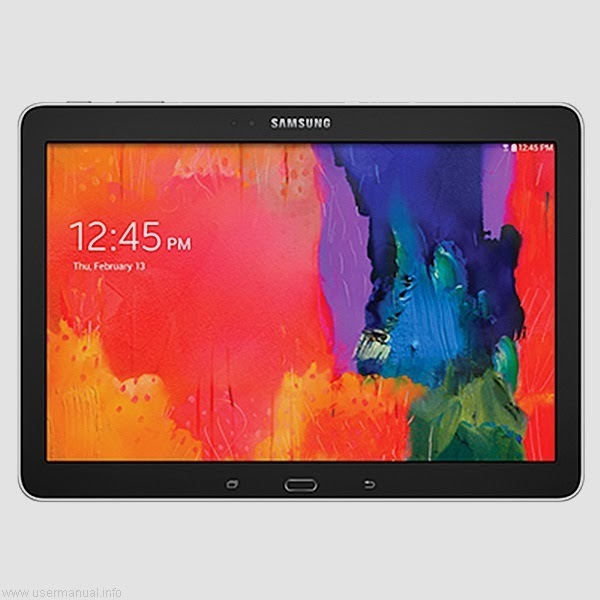 Samsung Galaxy Tab Pro 10.1 SM-T520 user guide manual – Samsung Galaxy Tab Pro 10.1 SM-T520 was announced on January 2014 with new multitasking that only available on the Tab Pro models. Samsung Galaxy Tab Pro 10.1 surely come with a lot of improvements and bring some new features comparing with its predecessor, Samsung Galaxy Tab 3 10.1. Samsung Galaxy Tab Pro 10.1 come with some premium applications such as: office app, Dropbox, Flipboard, Remote PC app and Bitcasa. Samsung Galaxy Tab Pro 10.1 SM-T520 equipped with specifications and key features such as: 243.1 x 171.4 x 7.3 mm (9.57 x 6.75 x 0.29 inches) in dimension with 469 g (1.03 lb) in weight, 10.1 inches Super clear LCD capacitive touchscreen display 16 million colors 2560 x 1600 pixels screen display with multitouch up to 10 fingers and Samsung TouchWiz UI, microSD up to 64 GB, 16 GB internal storage, 2 GB of RAM, 8 megapixel rear facing camera with autofocus and LED flash, 2 megapixel front facing camera, run Android 4.4 Kitkat operating system, powered by 2.3 GHz quad core Qualcomm Snapdragon 800 MSM8974 processor adreno 330, Li-Ion 8220 non removable mAH battery with up to 10 hours of talk time and up to 147 hours of music play. Samsung Galaxy Tab Pro 10.1 SM-T520 pdf manual available to download in pdf file format with 8.1 MB size and contains of 191 pages. Samsung Galaxy Tab Pro 10.1 SM-T520 user guide manual will help users, owners and buyers with important information you need about the smartphone including key features, add functions, settings and some solution for troubleshooting.